Congress Street United Methodist Church has selected HUNGER HIKE as one of the benefactors of their annual Great Pumpkin Patch. This partnership includes Hunger Hike providing volunteers (3 hour shifts) to work at the 14th annual Great Pumpkin Patch — as well as bake and ice cookies (2 – 2.5 hour shifts). Please sign up online TODAY — and volunteer, have fun, sell pumpkins, bake cookies, ice cookies and help Hunger Hike achieve its goal of $115,000. Need some pumpkins? Please consider visiting the Great Pumpkin Patch of the Congress Street United Methodist Church. Each purchase you make supports Hunger Hike. 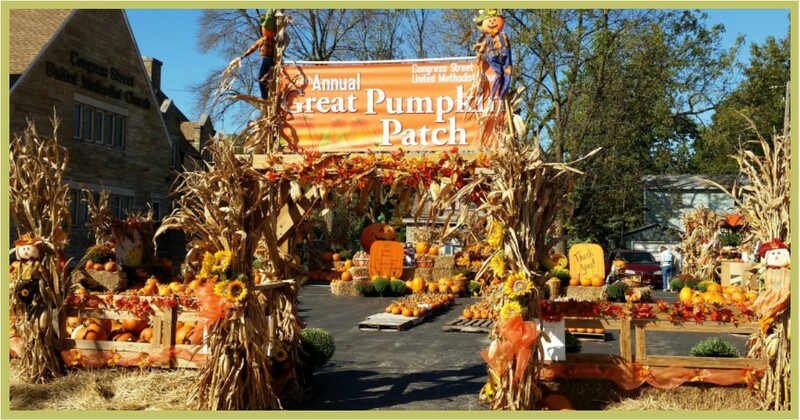 The Great Pumpkin Patch is open October 6-31 from 11 a.m. – 7 p.m. — rain or shine — across the street from Tropicanoe Cove & Loeb Stadium. 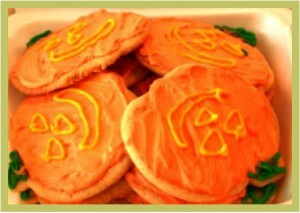 In addition to pumpkins, you’ll also find a unique variety of gourds — plus their famous homemade sugar cookies (pictured below), homemade breads, candies, crafts & much more! Since 2004 Congress Street United Methodist Church has grown in its Great Pumpkin Patch outreach — you must check it out. Remember ALL proceeds from pumpkin sales go to three local non-profit agencies — including Hunger Hike. So please head out to the Great Pumpkin Patch, get in the Halloween spirit and support Hunger Hike.